The team behind the wonderfully addictive and critically acclaimed PUBG Mobile has announced that it will be taken offline from 00:00:00 to 08:00:00 (UTC) on April 17 to undergo some routine maintenance. There’s nothing unusual about that until you put it alongside the fact that the official Twitter account has published yet another 0.4.0 teaser. Could it be that we now have an indication of when 0.4.0 will be rolled out? 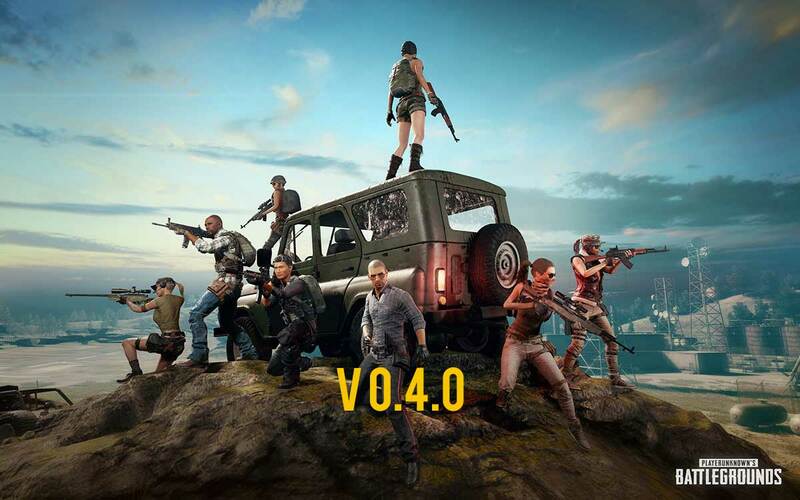 Global gamers who regularly enjoy the thrills and spills of PUBG Mobile have been waking up each day in the hope that version 0.4.0 of the title would be sitting waiting for them in the App Store or Google Play Store. Of course, as we all know, gamers in China have already had access to 0.4.0 and beyond, which makes the global gaming community cry out even loud in order to get some kind of parity where features and functionality are concerned. Many have speculated about when PUBG will actually release the 0.4.0 update but this scheduled downtime could be our clearest indication yet that it’s going to be an imminent arrival. The official PUBG Mobile account has also been adding fuel to the fire by releasing teasers for version 0.4.0. The first teaser showed a squadron of gamers following one another in unison as part of the descent to the ground from the airplane. This is a new feature which allows squads to gain a tactical advantage by all arriving at the same place at the same time in order to prepare for battle. Now, alongside the maintenance announcement, that same official account has shared yet another teaser with the #PUBMOBILE040 hashtag, this time 15-seconds in length and showing a gamer preparing for the spoils of war by harnessing their shooting skills at a brand new shooting range. If you put those two things together, then you ultimately end up with a potential 0.4.0 deployment between 00:00:00 and 08:00:00 (UTC) on April 17. Of course, this isn’t an official announcement by any stretch of the imagination, and we could just be barking up the wrong tree, but the timeline does seem to match with when a lot of gamers thought PUBG would actually release its latest version. Pubg has too many cheaters. Fortnite ftw…. add me on ps4, “Murks_U_420”.